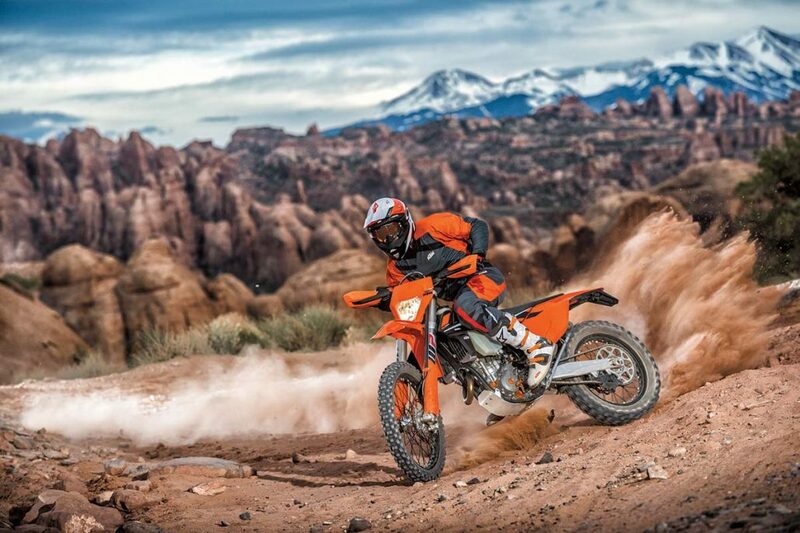 The KTM 2017 Enduro models, the fastest and lightest motorbikes up to date, are now suitable for both motorbike fans, as well as professional bikers thanks to new changes that have been implemented in the new models. The new 2017 range has just been introduced to the market. When compared to previous models, the chassis, suspension system and the motor design of each model have undergone a revolutionary change. With the revision of 90% of the components, the rider can now expect an even more fantastic riding experience. The biggest change occurred in the design of the model itself, with an emphasis on the weight of the infrastructure in general. The foot rests are narrower and the seat has also been modified over the one in the SX model, with the aim of having a flatter, wider surface which is also 10 mm lower. Such changes allow the rider to have better control on his vehicle, apart from guaranteeing better movement on the bike itself, with better flexibility when it comes to standing up or sitting down. The harmony that these revised structures create is felt in the liberty one experiences during uninterrupted driving that the new renovated motorbikes now offer. Fapi Motors are the official distributors of ther KTM motorcycles brand in Malta. For more information send an email to info@FapiMotors.com or visit our showoom in Mdina Road, Attard.